Tunch breaks down a few key plays from the Steelers loss at the Bears. Tunch breaks down a few key plays from the Steelers victory vs. the Vikings. Tunch breaks down a few key plays from the Steelers 21-18 victory over the Browns on Steelers Live. Tunch breaks down some of the holes in the Steelers' defense that allowed the Patriots to score on Steelers Live. Tunch breaks down three plays on special teams as well as Antonio Brown's game-sealing catch on Steelers Live. Tunch breaks down the touchdowns from Antonio Brown and Le'Veon Bell in the Wild Card round of the playoffs vs. the Dolphins. Tunch draws up some game-making plays from the Steelers' win vs. the Browns on Steelers Live. Tunch breaks down a few pivotal plays that helped the Steelers defeat the Ravens to clinch the AFC North. Tunch breaks down a few key plays that helped the Steelers defeat the Bengals 24-20. Tunch breaks down three Le'Veon Bell run plays from his record-breaking game vs. the Bills on Steelers Live. Tunch draws up a few key defensive plays from the Steelers victory over the Giants on Steelers Live. Tunch draws up a few key plays from Thanksgiving night's victory vs. the Colts on Steelers Live. Tunch breaks down a few big plays from the Steelers' win vs. the Browns on Steelers Live. Tunch draws up a few of the big plays from the Steelers loss vs. the Cowboys on Steelers Live. Tunch draws up two pivotal plays that led to the Steelers loss vs. the Ravens on Steelers Live.  Tunch draws up two plays to illustrate what the Steelers need to improve on coming out of the Bye. Tunch draws up two key plays that led to the Steelers loss vs. the Patriots on Steelers Live.  Tunch draws up a pair of plays that led to the 30-15 loss to the Dolphins on Steelers Live. 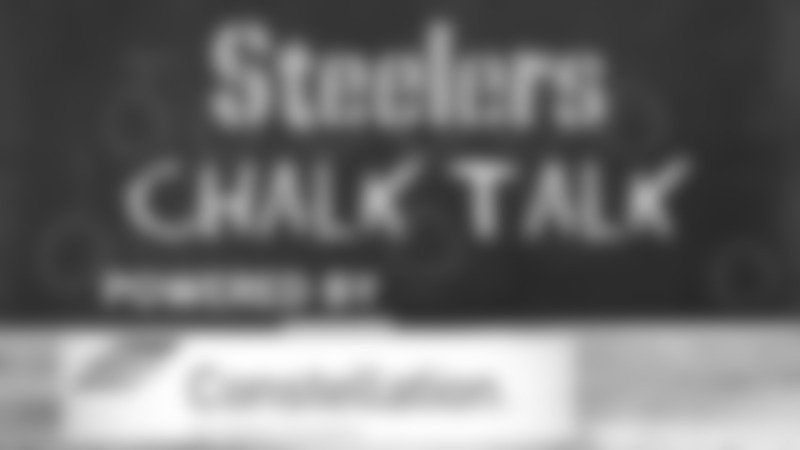 Tunch draws up a pair of touchdowns from Sunday's victory over the Jets on Steelers Live. Tunch draws up a few key plays from Sunday's victory over the Chiefs on Steelers Live. Tunch breaks down a pair of plays from the Steelers Week 3 loss to the Eagles on Steelers Live. 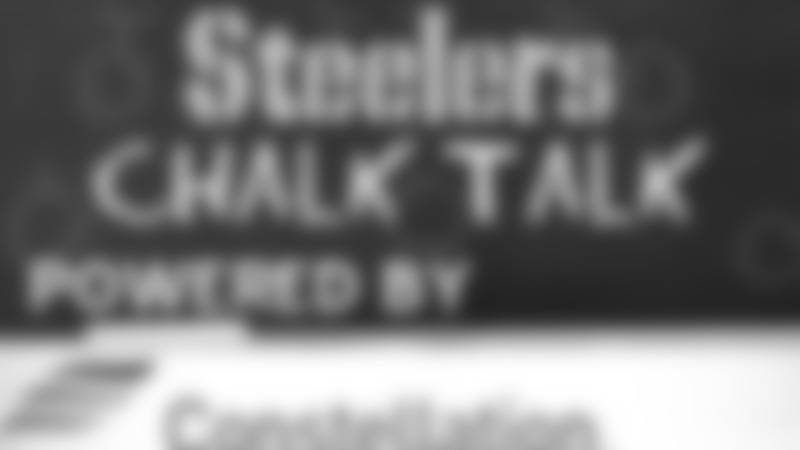 Tunch Ilkin breaks down a pair of touchdowns from the Week 2 victory over the Bengals on Steelers Live. 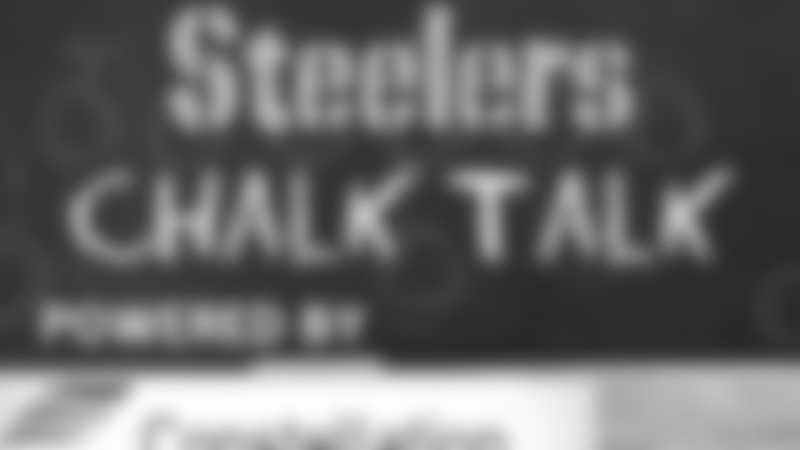 Tunch Ilkin breaks down a play from the Week 1 victory over the Redskins on Steelers Live. It's on to Denver for the Steelers, which has Mike and Bob arguing over the Broncos' choice of QBs, and how the game is going to be won. Tunch Ilkin draws up an example from the Steelers' Wild Card victory of how pressure and coverage go hand in hand. Tunch Ilkin draws up a touchdown from the win over the Browns that showcases QB Ben Roethlisberger and WR Antonio Brown being completely in sync. Tunch Ilkin draws up back-to-back plays that setup the Ravens' go-ahead touchdown in the 4th quarter of yesterday's loss. Tunch Ilkin draws up WR Markus Wheaton's early 4th quarter touchdown from Sunday's win that helped tie the game at 27. Tunch Ilkin draws up Jarvis Jones' interception that prevented an opportunity for Indianapolis to take the lead early in Sunday's win over the Colts. Tunch Ilkin draws up the Seahawks' first touchdown in yesterday's Steelers loss; Russell Wilson's 16 yard hookup with Doug Baldwin. Tunch Ilkin draws up two plays that had wide receiver Antonio Brown making the Cleveland Browns defense pay. Tunch Ilkin draws up a long pass play from quarterback Ben Roethlisberger to wide receiver Martavis Bryant during yesterday's win against the Cleveland Browns. Tunch Ilkin draws up the play that put the Steelers in position to win yesterday's game against the Oakland Raiders. Tunch Ilkin draws up his favorite play from yesterday's loss, cornerback Antwon Blake's interception. 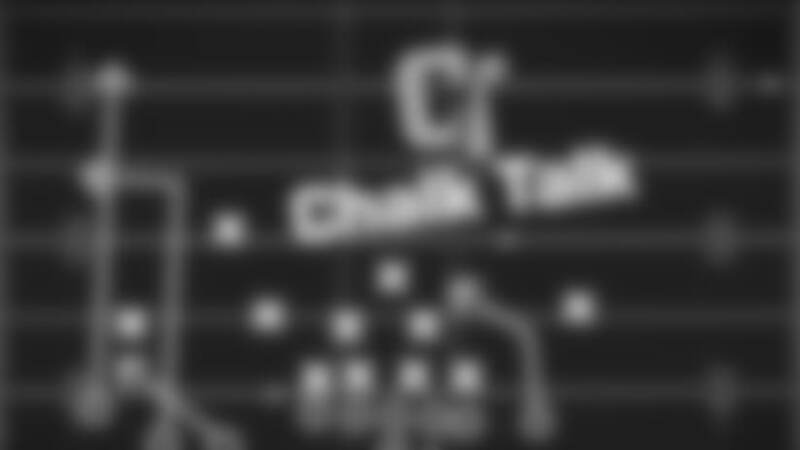 Tunch Ilkin draws up two plays that really broke the back of the Steelers during Sunday's loss to the Chiefs. Tunch Ilkin draws up a few examples of why he thinks Steelers quarterback Landry Jones is the hero of the game against Arizona.  Tunch Ilkin draws up the first two Steelers touchdowns of Monday night's road win against the San Diego Chargers. 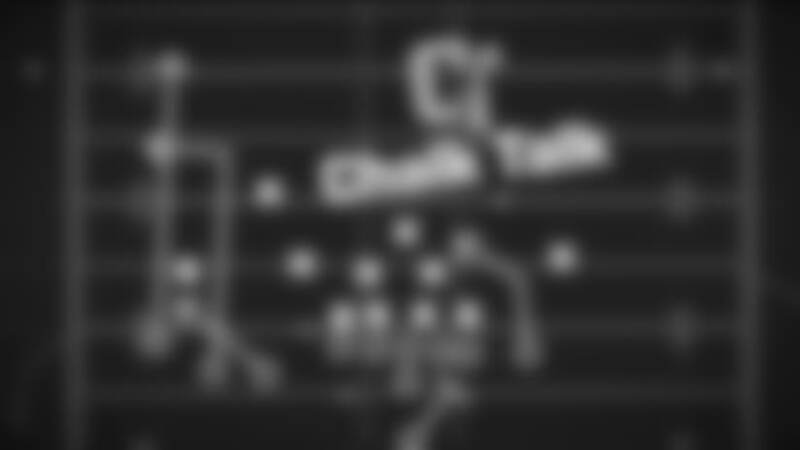 Tunch Ilkin draws up two plays that has the Steelers defense using the same blitz that worked and didn't work. Tunch Ilkin draws up three plays that spread the Rams defense out and has quarterback Ben Roethlisberger utilizing three-step drops. Tunch Ilkin draws up two plays that has the 49ers defense giving quarterback Ben Roethlisberger pre-snap disguises. Tunch Ilkin draws up a pick-play utilizing four tight ends that resulted in a Patriots touchdown. Tunch Ilkin breaks down the key 4th quarter turnover that came off the finger tips of Steelers running back Ben Tate. Craig Wolfley draws up wide receiver Martavis Bryant's second quarter touchdown that broke a 10-10 tie going into halftime. Tunch Ilkin breaks down a key fourth down defensive stop by the Steelers in Sunday's win over the Kansas City Chiefs. Tunch Ilkin breaks down a play-action pass to Steelers wide receiver Markus Wheaton during Sunday's win over the Atlanta Falcons. Tunch Ilkin breaks down Le'Veon Bell's second rushing touchdown of Sunday's win over the Bengals. Tunch Ilkin breaks down one of Drew Brees' long completions late in the first half of Sunday's loss to the Saints. Tunch Ilkin breaks down a Le'Veon Bell run late in the game to close out the victory against the Titans. Tunch Ilkin breaks down Ben Roethlisberger's interception early in the second half of Sunday's loss to the New York Jets. Tunch Ilkin breaks down Ben Roethlisberger's sixth touchdown pass of Sunday's win over the Ravens. Tunch Ilkin breaks down Ben Roethlisberger's sixth touchdown pass of Sunday's win over the Colts. Tunch Ilkin breaks down Ben Roethlisberger's touchdown pass to Le'Veon Bell that put the Steelers up 24-13 going into the half. Tunch Ilkin breaks down the play-action pass that set up the Browns first touchdown of the game in the second quarter. Tunch Ilkin breaks down Brice McCain's interception return for a touchdown late in the fourth quarter during Sunday's win over the Jaguars. Tunch Ilkin breaks down the key play that led to Tampa Bay's winning touchdown in the final seconds of Sunday's loss. Tunch Ilkin breaks down Le'Veon Bell's 81 yard run in the second half of Sunday night's victory over the Panthers. Tunch Ilkin breaks down an outside zone running play by the Ravens in the third quarter of last week's loss. Tunch Ilkin breaks down the key play that setup the Steelers to win in dramatic fashion Sunday afternoon. Bob Labriola and Tunch Ilkin break down the Pittsburgh Steelers’ 38-31 win over the Green Bay Packers on Sunday. Bob Labriola and Tunch Ilkin break down the Pittsburgh Steelers’ 30-20 win over the Cincinnati Bengals on Sunday. Bob Labriola and Tunch Ilkin break down the Pittsburgh Steelers’ 34-28 loss to the Miami Dolphins on Sunday. Bob Labriola and Tunch Ilkin break down the Pittsburgh Steelers’ 22-20 loss to the Baltimore Ravens on Thanksgiving Day. Bob Labriola and Tunch Ilkin break down the Pittsburgh Steelers’ 27-11 win over the Cleveland Browns on Sunday. Bob Labriola and Tunch Ilkin break down the Pittsburgh Steelers’ 37-27 win over the Detroit Lions on Sunday. Bob Labriola and Tunch Ilkin break down the Pittsburgh Steelers’ 23-10 win over the Buffalo Bills on Sunday. Bob Labriola and Tunch Ilkin break down the Pittsburgh Steelers’ 55-31 loss to the New England Patriots on Sunday. Bob Labriola and Tunch Ilkin break down the Pittsburgh Steelers’ 21-18 loss to the Oakland Raiders on Sunday. Bob Labriola and Tunch Ilkin break down the Pittsburgh Steelers’ 19-16 win over the Baltimore Ravens at Heinz Field on Sunday. Bob Labriola and Tunch Ilkin break down the Pittsburgh Steelers’ 19-6 win over the New York Jets at MetLife Stadium on Sunday. Bob Labriola and Tunch Ilkin break down the Pittsburgh Steelers’ 34-27 loss to the Minnesota Vikings at Wembley Stadium in London. Bob Labriola and Tunch Ilkin break down the Pittsburgh Steelers’ 40-23 loss to the Chicago Bears at Heinz Field. Bob Labriola and Tunch Ilkin break down the Pittsburgh Steelers’ 20-10 loss to the Cincinnati Bengals at Paul Brown Stadium. Bob Labriola and Tunch Ilkin break down the Pittsburgh Steelers’ 16-9 loss to the Tennessee Titans at Heinz Field. Bob Labriola and Tunch Ilkin break down a few of the key plays from the Steelers 24-20 win over the New York Giants. Bob Labriola and Tunch Ilkin break down the subtleties of beating man-to-man coverage from the Steelers 27-12 win over the Washington Redskins.